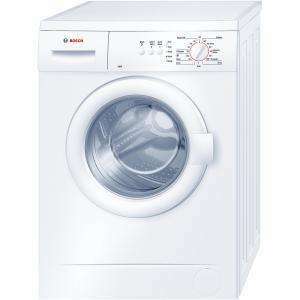 Superb Washing Machine currently £263.19 when using Voucher Code 10FREE and cashback, which is a decent price. Bought one of these myself today from instore and it is very quiet. Ive had my bosch washing machine about 8 years and not one thing gone wrong. Excellent make unlike other well known manufacturers which i always had bother with. Strongly reccomend. Nope, I work for Candy. So NUR. Now come on. I'd never do you out of your job. Would second that - our current Bosch machine is almost 10 years old (and with two kids it has taken a fair old hammering in that time). Your username is quite appropriate! Miele all the way baby, more expensive but last a lot longer. Some models come with a 10 year warranty! Similar model was posted at around £200 from Best Buy! Miele all the way baby, more expensive but last a lot longer. Some models … Miele all the way baby, more expensive but last a lot longer. Some models come with a 10 year warranty! I would have said that once. We had a Miele for 12 years and yes, it was fantastically well built. However, it went wrong - jammed solenoid. The repair would have cost almost £200! By this time we needed a bigger machine (kids eh!). We looked at replacing it with a new Miele but that would have been £800. OK, that would have lasted a long time but... £800! So we plumped for a £300 Bosch instead. We've had it a couple of years and it's fine. It's quieter than the Miele, costs less to run and gets the clothes cleaner. All right, it probably won't last as long as a Miele but it's probably more cost effective in the end. I would have said that once. We had a Miele for 12 years and yes, it was … I would have said that once. We had a Miele for 12 years and yes, it was fantastically well built. However, it went wrong - jammed solenoid. The repair would have cost almost £200! By this time we needed a bigger machine (kids eh!). We looked at replacing it with a new Miele but that would have been £800. OK, that would have lasted a long time but... £800! So we plumped for a £300 Bosch instead. We've had it a couple of years and it's fine. It's quieter than the Miele, costs less to run and gets the clothes cleaner. All right, it probably won't last as long as a Miele but it's probably more cost effective in the end. Our Bosch washer/dryer is still going strong after 17 or so years. Just use the wash facility now as bought a Bosch dryer due to our family growing with an extra 3 boys. Boy do those machines get thrashed. Keep thinking the washer can't keep going much longer but it still refuses to give up the ghost! Just so you guys know this isn't the same quality as a "proper" Bosch machine - I'm a washing machine engineer and we see these all the time. Most are made in Spain by a company called Belay, which Bosch owns. They have sealed tubs, filter is normally a PITA to access as it's under the tub and there are a lot of problems with the boards on the machines. I wrote one off this week that was two years two months old as PCB was knackered. Most seem to last about four years, as opposed to fifteen-ish years for a "proper" Bosch. The way to tell the difference is that a proper German/Polish build Bosch has a half-moon shaped door handle - search for something like a Bosch WAE24165. These tactical models have the square shaped door handles. In my opinion really worth paying the extra £40 for a proper Bosch as you'll get much more use out of it. My Candy 1200 washing machine is still going strong after just over 14yrs now (but there has always just been 2 of us). I just hope the next one is as reliable when the time comes. £270 for a Bosch seems like a great deal tho. Just so you guys know this isn't the same quality as a "proper" Bosch … Just so you guys know this isn't the same quality as a "proper" Bosch machine - I'm a washing machine engineer and we see these all the time. Most are made in Spain by a company called Belay, which Bosch owns. They have sealed tubs, filter is normally a PITA to access as it's under the tub and there are a lot of problems with the boards on the machines. I wrote one off this week that was two years two months old as PCB was knackered. Most seem to last about four years, as opposed to fifteen-ish years for a "proper" Bosch.The way to tell the difference is that a proper German/Polish build Bosch has a half-moon shaped door handle - search for something like a Bosch WAE24165. These tactical models have the square shaped door handles. In my opinion really worth paying the extra £40 for a proper Bosch as you'll get much more use out of it.Hope that helps someone. Thanks you for providing the voucher. I purchased Zanussai washing machine which is £349 and I got £ 34 reduced. I also purchased samsung fridge and got £32 reduced. In total, I gain £ 66.. excellent ! Deal posting newbie! This is RDCM first deal post. Help out by leaving a posting tip or just to show your appreciation for their contribution.